The idea, party leaders said, is to rejuvenate the AICC headquarters, which is hardly used for anything other than media briefings and special functions these days. As Congress president, Sonia Gandhi did not regularly sit in her office at the party's 24 Akbar Road headquarters, preferring to hold meetings at her home. But her successor and son, Rahul Gandhi wants to change that. The 47-year-old Congress boss will soon start attending office two days a week to meet delegations from states and for other party work. Rahul Gandhi will also hold, the aide said, "open house sessions" to meet the public at the sprawling party headquarters once a week, quite like the janata darbars held by his grandmother Indira Gandhi at her Safdarjung Road home when she was Prime Minister. Rahul Gandhi used to hold such sessions at his mother's 10 Janpath home next door to the party office when he first became a party general secretary. 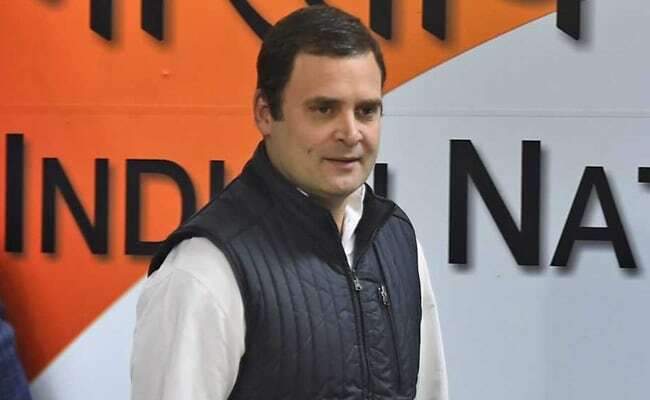 "It is an encouraging step that he will spend time in the Congress office," said senior party leader Abhishek Manu Singhvi. The idea, party leaders said, is to rejuvenate the AICC headquarters, which is hardly used for anything other than media briefings and special functions these days. The only senior leaders who sit regularly at the party office now are general secretaries BK Hariprasad and Janardan Dwivedi and former union minister RPN Singh, who is in charge of Jharkhand, when he is in town. Digvijaya Singh used to be quite regular at the party office but he has been away for a while attempting a political comeback in his home state Madhya Pradesh. Even media incharge, Randeep Surjewala is rarely spotted at AICC. Rahul Gandhi took over as Congress president last month.